I’m often asked about sulfate-free shampoos and who should use them and the short answer is that they’re a great pick for anyone really, but if you’re managing fine using something containing sulfates then you don’t have to stress about it. I personally don’t believe sulfates like SLS (sodium lauryl sulphate) are ‘bad’ for you, but if you’ve got sensitive skin, you might find them irritating. They can also dry out your skin or hair if you’re using something that contains a whopload of them and they’ll definitely strip your hair of anything you put into it faster than something that’s sulphate-free. So, if you’re happy using a shampoo containing SLS then by all means keep on trucking. But, if you’ve got a dry or sensitive scalp or colour your hair in a way that adds pigment (i.e. adding pigments as opposed to bleaching) or have a Brazilian you’re trying to maintain then making the switch to a sulphate-free shampoo is a must. 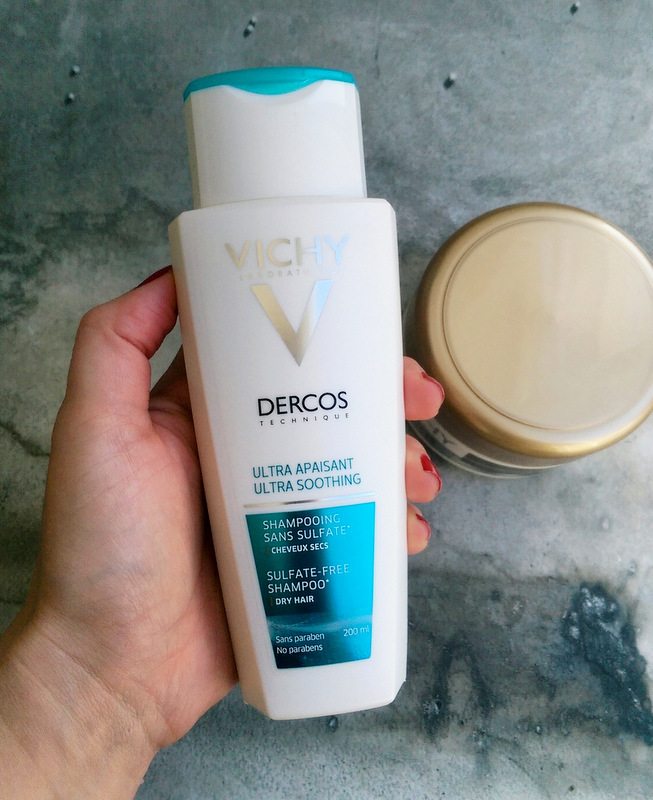 There are lots to choose from and I’ve seen several in Dis-Chem starting from as little as R80 but if you’re looking for a truly fabulous one consider Vichy Dercos Ultra Soothing sulfate-free shampoo (R215,95, Clicks). This is the one for dry hair. I’ve used the version for normal hair in the past (I have baby fine, oil-prone hair) and loved it. Sulphate and paraben-free, Vichy’s shampoo goes a step further thanks to a soothing anti-itch complex they call sensirine. As I don’t have an itchy scalp I can’t attest to it’s efficacy but but Vichy say it’s clinically proven, works from the first use and you’ll reap the benefit for up to 48 hours. 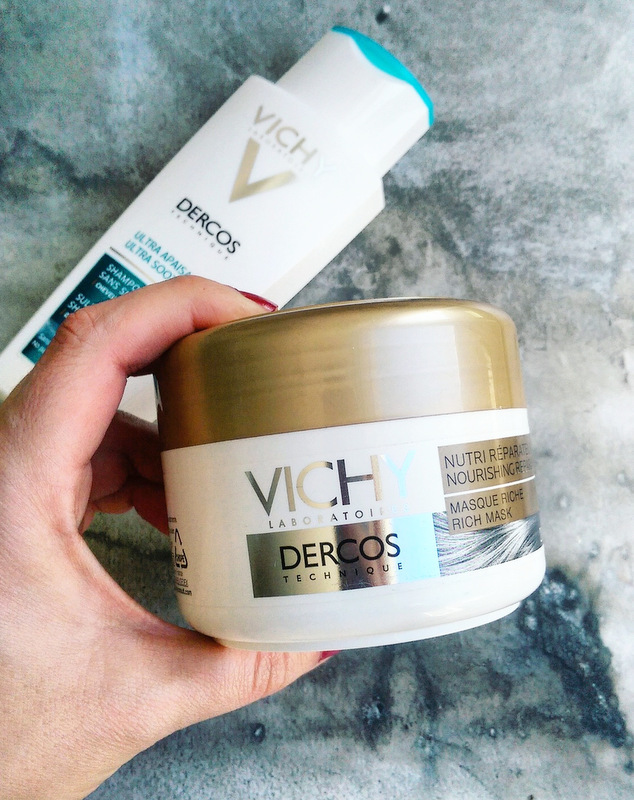 I was also given Vichy Dercos Nourishing Repair hair mask (R320, Clicks) to try and I really, really like it. I’m not exactly the target market – it’s aimed that those with dry hair – but my lengths are slightly damaged from colouring and heat styling so I do like to give my hair the odd dose of keratin, a fortifying protein that helps strengthen each strand, and this baby is full of it. I like that you only need to use a bit of it – a little goes a long way and the tub is going to last for ages. Vichy’s mask also contains smoothing silicone and three omega acid-rich botanical oils – almond, rosehip and safflower. The end result is hair that’s super easy to detangle while wet and, when it dries, you’re left with super soft, silky-feeling tresses. In a way, it reminds me a bit of Kerastase’s Masquintense, another hair product I love and adore. Lastly, it’s got the most divine scent. Vichy describes it as being a pink floral with powdery notes but I don’t get that at all. To me it smells warm and slightly spicy – a bit like my beloved Lush’s Blue Skies bubble bar, a woody, patchouli-scented delight.